Want more information on surface water treatment solutions available from AOS? Contact us today. A clean public water supply is essential for any municipal area as is protection of surface water outfalls from pollution. Having a strategy to manage surface water treatment effectively whilst minimizing pollution is vital for municipal areas. 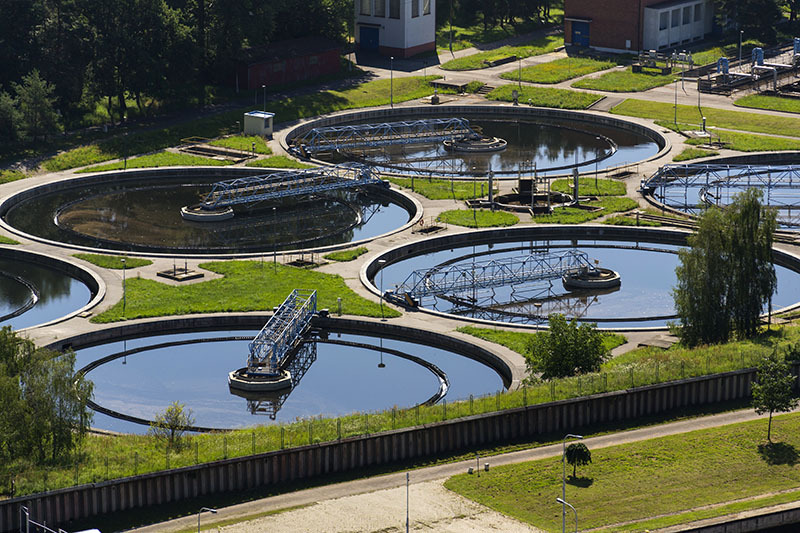 Here are some effective solutions for managing surface water treatments in a safe and timely way. With surface water treatment, getting it right will enable you to prevent environmental damage, pollution and other hazards. Treating surface water is a specialist job, and you’ll need the expert advice of AOS. A specialist will review the problem and offer a plan of action for treating your surface water, tailored to the needs of your municipality. One method used to treat surface water is Raw Water Clarification. These products remove organic and mineral suspended solids from raw water as well as the dissolved solid material that can be solidified. The exact components of a raw water system depend on the nature of the problem and may need to be adapted depending on turgidity and flow of the water. Filtration is an initial method used in raw water clarification. Although it can remove bacteria and some minerals, filtration is unable to remove viruses. Further treatment such as chlorination may be required. A specialist engineer can recommend the correct components to meet the needs of your raw water system as one of their groundwater treatment solutions. TOC or Total Organic Carbon and Trihalomethane (THR) reduction is a groundwater treatment solution used when the disinfectant byproducts exceed state and federal regulations. This can occur through overuse of chlorine for example. You’ll need a specialist to perform testing and advise how to minimize risk and perform the effective reduction of pollutants. This may vary from area to area and in each situation so each problem needs to be looked at in a unique way. Ensuring pH control of water is vital when using treatments. Once surface water has been treated it is possible to use a range of non polluting chemicals to bring the pH of the water back to an acceptable level. Our specialist municipal water treatment company will have groundwater treatment solutions like this for most situations. Sometimes iron and manganese get into the water supply and whilst they are not generally harmful to the pubic these chemicals do affect the taste of the water. Excessive amounts of these chemicals can encourage bacterial growth in the water. There are several easy ways to remove this problem which AOS can advise on. Adding a chemical treatment solution to the water such as chlorine or potassium permanganate will help resolve the problem. This does need to be performed by someone who has received the specialist training in water treatments to ensure the correct amount is used. Treating surface water correctly is complex and best left to experts. By engaging with our specialists, you’ll be in a strong position to deal with the problem promptly. For more info on municipal surface water treatment solutions available from AOS, contact us today.